(ii) The Descriptive Test with 1 hour duration (50marks) will be of “Test Descriptive Test: of English Language (comprehension, short precis, letter writing & essay)”. The candidates are required to qualify in the Descriptive Test by securing passing marks, to be decided by the Bank. Descriptive Test paper of only those candidates will be evaluated who have scored qualifying marks in the Objective Tests and are Placed adequately high as per total marks in objective test. The aggregate marks of candidates qualifying in both the Objective Tests and Descriptive Test will be arranged in descending order in each category. 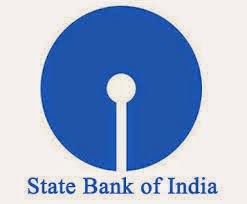 Adequate number of candidates in each category, as decided by the Bank will be called for Group Discussion and Interview. Mostly they will ask from Analog circuits,Electronic device and circuits, Communications, EMTL, Network theory,Antennas,Microprocessor, Digital electronics, Instrumentation,control systems, signals and systems-Baics like laplace transforms,z-transforms,fourier transforms. They will ask basic theory question and less problematic questions. 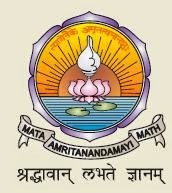 General awareness(40 questions): Current affairs,General knowledge,Geography,Indian polity,Indian history,Physical science-Read Hindu news papers and GK books,NCERT books from 8th to 12th class. Aptitude(30 Questions): Comprehensive passage, Verbal and nonverbal,Quantitative aptitude, Reasoning- read R.S.Agarwal book for Both quantitative and reasoning. 2. Interview-15% weightage- read all technical subjects and also read newspapers for latest events. 1. MATERIALS AND COMPONENTS: Structure and properties of Electrical Engineering materials; Conductors, Semiconductors and Insulators, magnetic, Ferroelectric, Piezoelectric, Ceramic, Optical and Super-conducting materials. Passive components and characteristics Resistors, Capacitors and Inductors; Ferrites, Quartz crystal Ceramic resonators, Electromagnetic and Electromechanical components. 2. PHYSICAL ELECTRONICS, ELECTRON DEVICES AND ICs: Electrons and holes in semiconductors, Carrier Statistics, Mechanism of current flow in a semiconductor, Hall effect; Junction theory; Different types of diodes and their characteristics; Bipolar Junction transistor; Field effect transistors; Power switching devices like SCRs, GTOs, power MOSFETS; Basics of ICs - bipolar, MOS and CMOS types; basic of Opto Electronics. 3. SIGNALS AND SYSTEMS Classification of signals and systems: System modelling in terms of differential and difference equations; State variable representation; Fourier series; Fourier transforms and their application to system analysis; Laplace transforms and their application to system analysis; Convolution and superposition integrals and their applications; Z-transforms and their applications to the analysis and characterisation of discrete time systems; Random signals and probability, Correlation functions; Spectral density; Response of linear system to random inputs. 4. NETWORK THEORY Network analysis techniques; Network theorems, transient response, steady state sinusoidal response; Network graphs and their applications in network analysis; Tellegen’s theorem. Two port networks; Z, Y, h and transmission parameters. Combination of two ports, analysis of common two ports. Network functions : parts of network functions, obtaining a network function from a given part. Transmission criteria : delay and rise time, Elmore’s and other definitions effect of cascading. Elements of network synthesis. 5. ELECTROMAGNETIC THEORY Analysis of electrostatic and magnetostatic fields; Laplace’s and Poisson’s equations; Boundary value problems and their solutions; Maxwell’s equations; application to wave propagation in bounded and unbounded media; Transmission lines : basic theory, standing waves, matching applications, microstrip lines; Basics of wave guides and resonators; Elements of antenna theory. 6. ELECTRONIC MEASUREMENTS AND INSTRUMENTATION Basic concepts, standards and error analysis; Measurements of basic electrical quantities and parameters; Electronic measuring instruments and their principles of working : analog and digital, comparison, characteristics, application. Transducers; Electronic measurements of non electrical quantities like temperature, pressure, humidity etc; basics of telemetry for industrial use. 7. ANALOG ELECTRONIC CIRCUITS Transistor biasing and stabilization. Small signal analysis. Power amplifiers. Frequency response. Wide banding techniques. Feedback amplifiers. Tuned amplifiers. Oscillators. Rectifiers and power supplies. Op Amp, PLL, other linear integrated circuits and applications. Pulse shaping circuits and waveform generators. 8. DIGITAL ELECTRONIC CIRCUITS Transistor as a switching element; Boolean algebra, simplification of Boolean functions, Karnaguh map and applications; IC Logic gates and their characteristics; IC logic families : DTL, TTL, ECL, NMOS, PMOS and CMOS gates and their comparison; Combinational logic Circuits; Half adder, Full adder; Digital comparator; Multiplexer Demulti-plexer; ROM an their applications. Flip flops. R-S, J-K, D and T flip-flops; Different types of counters and registers Waveform generators. A/D and D/A converters. Semiconductor memories. 9. CONTROL SYSTEMS Transient and steady state response of control systems; Effect of feedback on stability and sensitivity; Root locus techniques; Frequency response analysis. Concepts of gain and phase margins: Constant-M and Constant-N Nichol’s Chart; Approximation of transient response from Constant-N Nichol’s Chart; Approximation of transient response from closed loop frequency response; Design of Control Systems, Compensators; Industrial controllers. 10. COMMUNICATIONS SYSTEMS Basic information theory; Modulation and detection in analogue and digital systems; Sampling and data reconstructions; Quantization & coding; Time division and frequency division multiplexing; Equalization; Optical Communication : in free space & fiber optic; Propagation of signals at HF, VHF, UHF and microwave frequency; Satellite Communication. 11. MICROWAVE ENGINEERING Microwave Tubes and solid state devices, Microwave generation and amplifiers, Waveguides and other Microwave Components and Circuits, Microstrip circuits, Microwave Antennas, Microwave Measurements, Masers, lasers; Microwave propagation. Microwave Communication Systems terrestrial and Satellite based. 12. COMPUTER ENGINEERING Number Systems. Data representation; Programming; Elements of a high level programming language PASCAL/C; Use of basic data structures; Fundamentals of computer architecture; Processor design; Control unit design; Memory organisation, I/o System Organisation. Microprocessors : Architecture and instruction set of Microprocessors 8085 and 8086, Assembly language Programming. Microprocessor Based system design : typical examples. Personal computers and their typical uses. 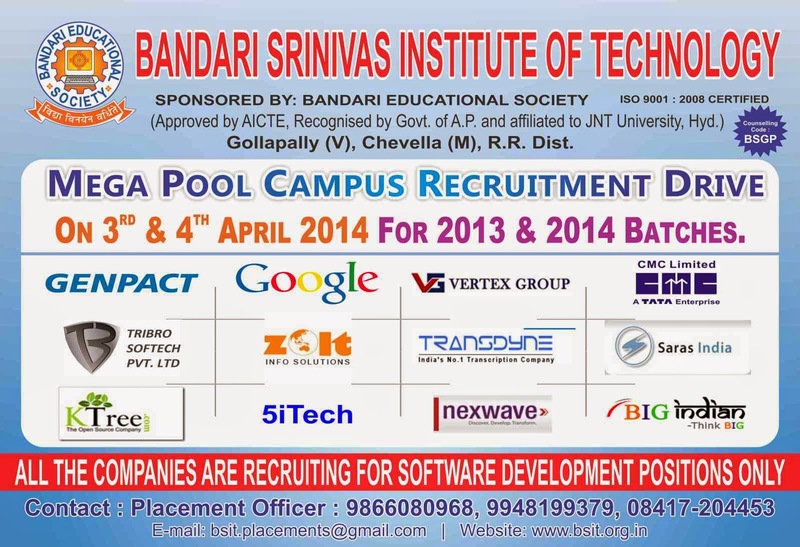 Venue: Bandari srinivas Institute of technology, Gollapally(V),Chevella(M), RR district,Andhrapradesh.